These days, most people don’t think a lot about print. It’s funny, because even with all of the advances in digital technology, print is still all around us. You probably picked up a cereal box this morning. There’s a postcard stuck to your refrigerator door with a printed magnet. You have letters and a report to read in your briefcase or portfolio. There was a time when print was cutting edge technology. In fact, Gutenberg’s invention of movable type was probably the most significant innovation of the last thousand years or so. The ability to mass produce books led directly to broader dissemination of information and indirectly to better opportunities for education, innovation, the Industrial revolution, the advent of electronic communications, computers, mobile phones, and the obsolescence of print. Technology has actually been a big benefit to the print industry and to our customers. For example, digital printing advances have made it possible to produce inexpensive short runs in full color. The long production cycles of bygone days are over. It’s very possible to print and assemble a nice color booklet within hours after proof approvals. Wide format is another example. Inkjet technology has really simplified the process and one-off posters, signs, and banners can be produced and delivered quickly. 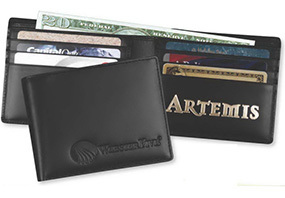 Similar technology can be used to print on nearly anything, from wallets to wallpaper. As print has changed over the years, printers have adapted their business models to meet their customers’ needs. All printers love gadgets and equipment, and we still produce our core products in-house, but progressive printers like Sphinx are moving to a new mode, shifting from print producers to print managers. This provides a real economic advantage for you and the rest of our customers. There’s no longer a need to have an in-house expert who knows all of the sources and the intricacies of specification and design. We provide that experience for you and an established network of printing partners and service providers that augment our in-house production capabilities. If you’ve seen an interesting product or have an idea you’d like to try, Sphinx Business Solutions can develop the project from there. We actually like the complex stuff and we’ll help you with the hard parts – design, paper specs, and specialty product or process sourcing. Our mission is really simple. We want to make it easy for you to get the printed products you need. 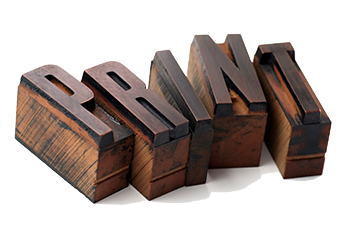 Want to learn more about the possibilities of print?